MoBagel, the first Taiwanese IoT company to collaborate with Japanese Software Bank (Softbank) ,uses self-developed AI engine to assist enterprise customers in data mining to precisely predict consumer behavior and create strategies that cater to customer needs. Decanter ™ has helped many businesses achieve exceptional operational performance. With our advanced R&D capabilities, MoBagel stood out and won the top prize “Golden Award” in “100 Innovative Products Competition 2016” in Taiwan. In recent years, brick-and-mortar retailers have been suffering from 30% loss in sales due to the rapid rise of e-Commerce platforms. The situation seems dire, but it’s also an opportunity for both MoBagel and traditional retailing industry. MoBagel’s AI engine, Decanter ™, is capable of predicting what the best marketing campaigns would be and how they should be launched and promoted based on the cumulative historical data. This can result in a 15% increase in store sales. 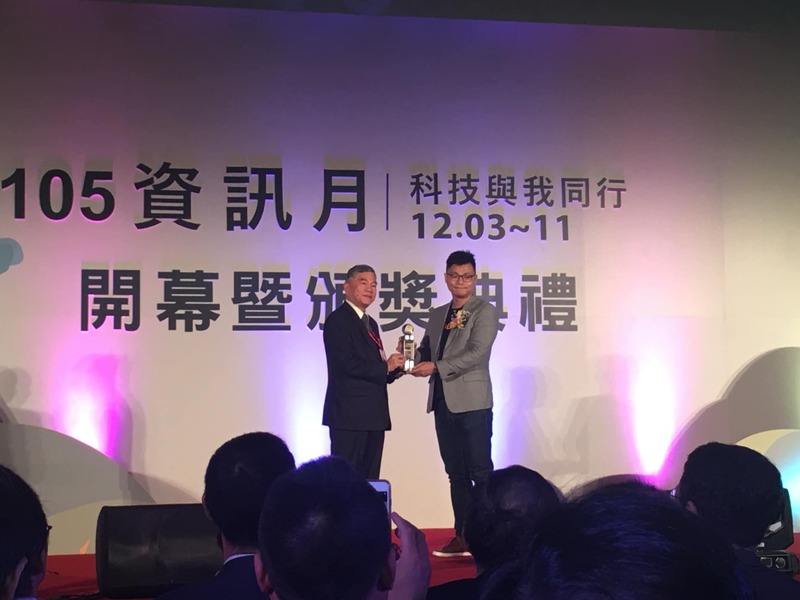 On the morning of December 3, our CEO Adms received the award from the Minister of Economic Affairs during the ceremony taking place at the Taipei World Trade Center. Adms suggested that the four main pillars of MoBagel’s services are also our key success factors: marketability, innovation, applicability, and sustainability, which are coincidentally compliant with the standard set up by the professional committee composed of ICT experts, academics, and media reporters. MoBagel’s continuous refinement of IoT analytics platform makes it become more and more powerful in helping customers extract insights hidden in a sea of data to maximize profits. In addition, MoBagel is the winner of the Nokia Open Innovation Challenge 2016 and has begun the partnership with Nokia to expand into Europe.